1. Address the issue right away. Many leaders believe that issues will simply go away over time. While that can be the case in rare occasions, it is not the norm. Most of the time, unaddressed problems with attitudes or behavior breed other, larger issues. Make sure to have clear and concrete examples that are easy for the person to follow. Don’t attack. Take time to listen, but be firm. True love confronts the hard issues. Nothing is worse than sitting down with someone and coming away with no resolution. 2. Have clear solutions laid out. Most people in life are great fault finders, but few are good at finding solutions. This is where you have to prepare. I suggest writing things down if you are a person who gets nervous in these situations. Run through the possible answers they may give in your mind so that you know how to answer. Also, make sure you listen to what they are saying beyond the immediate response- you may be dealing with someone who is hurt and simply looking for attention. If that’s the case, you may be dealing with an entirely new issue. When it’s all said and done, you have been given the awesome responsibility as a leader to help shape and shepherd these students. Sometimes you have to suspend someone from ministry for a time and other times you may need to cut ties all together. I’ve done it in the past and it’s never fun, but I know that not dealing with the issue is going to cost everyone. 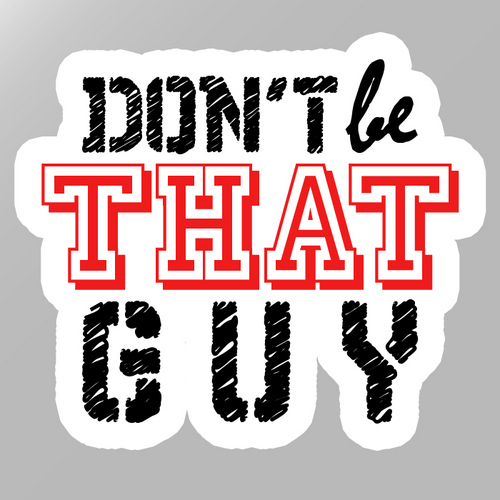 Don’t let that guy remain in your student ministry. Your students deserve better.